Do you know that cross-cultural factors impact productivity and overall outcome of the delivery in offshore outsourced projects? Listen to the video above to learn about some of the top cross-cultural mishaps that impact Indian businesses interacting with American clients, counterparts and colleagues. The tips and remedies you are looking forward to hearing more about are based on real-life and current evidence collected by an American citizen who has been working on the ground in India for the past almost five years consulting and collaborating with professionals such as yourself looking for solutions to pressing cross-cultural problems to improve business outcomes. Now a days a broader spectrum of industry sectors rely on outsourcing – spanning much beyond the traditional coding and call centers of the 1990s. In addition we must not ignore the wide range of highly skilled job profiles which are now outsourced - business analysts, software/solution architects, and multiple layers or management. Whether you are just starting your offshore team or have been providing outsourced solutions for many years, there is something for everyone to learn in this thought-provoking session. 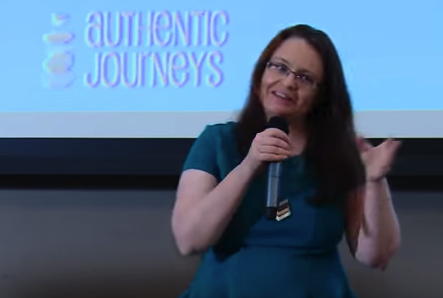 Speaker, Jennifer Kumar, the Managing Director of Authentic Journeys based in Kochi (Infopark) has provided cross-cultural business solutions to over 30 companies in South India, positively impacting over 3,000 Indian professionals.